Advanced Micro Devices is a semiconductor organization. The company develops processors and other such technologies for computers and there products are used randomly both at consumer and commercial markets. Main products manufactured by the organization are chipsets, motherboards, microprocessor, and graphic processors and embedded processor. These products are used in workstations, in servers, and in embedded and personal systems as well. Record says that this company is the 2nd largest supplier and manufacturer of microprocessors and is among the largest supplier chain of graphic processors as well. Headquarters of the organization is in one AMD Place and Bruce Klafin is the CEO of the company. There are currently 0 consumer reviews about Advanced Micro Devices, Inc available. Share your review. Please take a note that you are about to post a public review about Advanced Micro Devices, Inc corporate office on CorporateOffice.com. This review will be public, so please do not post any of your personal information on this website. 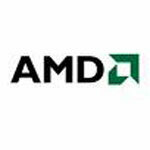 If you would like to contact the corporate offices of Advanced Micro Devices, Inc, please use their contact information such as their phone number, website, and address listed above to contact them. However, sometimes staff from Advanced Micro Devices, Inc headquarters do read the reviews on this website.